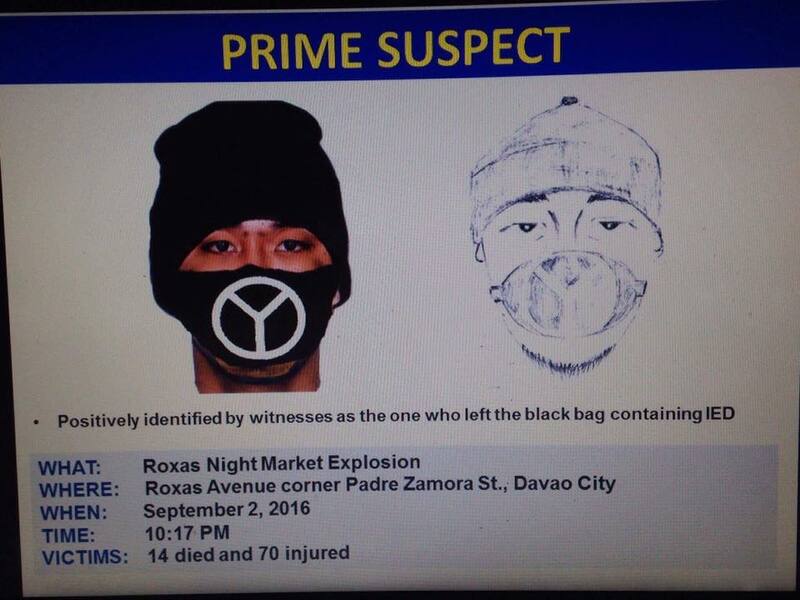 The Special Investigation Task Group has released the composite and artist sketches of the prime suspect in the Davao night market bombing. Government-owned TV station PTV posted the sketches on its official Facebook page. It said the SITG Night Market Conference headed by Criminal Investigation and Detection Group (CIDG) Director Benjamin Magalong released the sketches. The Roxas night market bombing in Davao City, which happened last Friday, September 2, left 14 people dead and 70 others wounded. The Abu Sayyaf Group claimed responsibility for the terror attack.